There are three things in this world that keep my home working like a well-oiled machine. 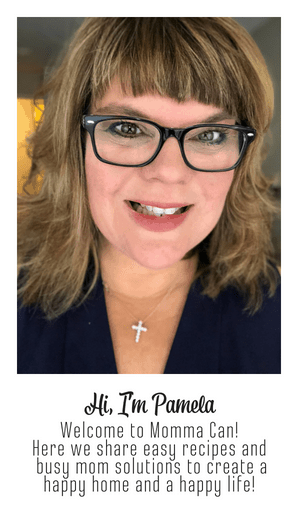 (well, on most days) Keeping clutter under control by decluttering often, saving money when I can, and organizing things beautifully so that our family can enjoy them. Technology has not slowed down the collection of magazines busy moms purchase. We are the ones waiting in the grocery line, and it is hard not to pick up and thumb through those glossy-printed gems filled with gorgeous designer rooms and beautifully photographed food. So one or two slip into the cart and you go home and add it to the growing stack of “someday I will read, ” This habit repeats itself until the pile has become an honest to goodness clutter collection. I personally love Where Women Create and Where Women Create Business . The day my pile tipped over and knocked my wine glass on the carpet was my day of reckoning. I knew I needed to declutter magazines or they would take over my “sanity corner“. My mom place of refuge to drink (tea) and have some reading time. 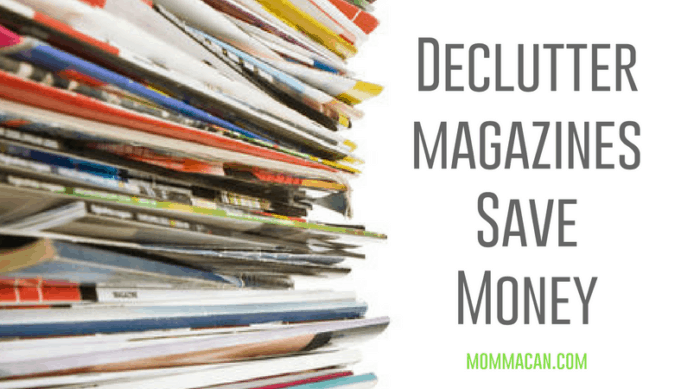 Learning to declutter magazines will free up space in your home and save you money! Problem: How to deal with magazine clutter. 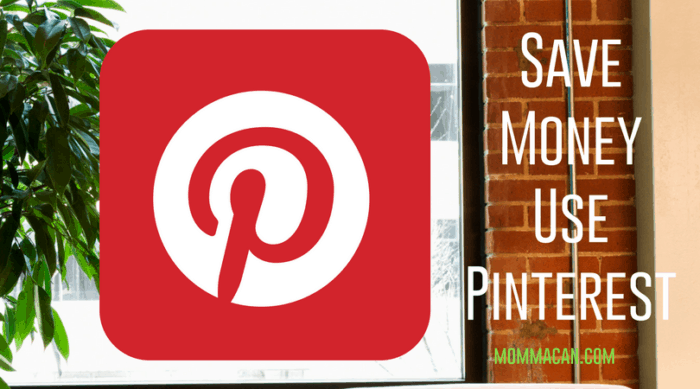 Create a Pinterest Account and Create one board per category in your account. Example: Home Decor, Baby Room, Kids Room, Health and Weightloss, Party Ideas, and Yummy Recipes To Try. Search for pins that fit a few categories to get the hang of the process. Enjoy your DIGITAL collection of inspiration while waiting in the carpool line or at the endless doctor/dentist appointments. Box and donate your old magazines. You can keep the ones you truly love but make sure that have a designated spot in your home. And finally to finish the decluttering old magazines and reduce the purchase of magazines you may never have time to read. Take your calculator and add up how much money you have spent and see what your total is. You might be surprised that it adds up to an alarming number! Decluttering magazines is a real eye opener to how much cash is going out of your budget into a temporary periodical. How to save money decluttering magazines and utilizing Pinterest Boards. Decluttering your magazines all at once give you a visual on just how many you are buying in a certain amount of time. Knowing if you read them or they just sat and collected dust give you the heads up on how many magazines you actually have the time to read. Adding up the cost spent over time will give you a much-needed push on just buying what you have time to read. It will also give you a hard number on the money you used out of your budget for magazines. Utilizing Pinterest Boards to collect beautiful images, inspiring articles and how to blog posts will keep your collection organized and available to read at all time if you use a smartphone. If you love thumbing through magazines like this busy momma! Hang out at the library once or twice a month. They have tons of all kinds of magazines. Before you purchase a new magazine, read through the table of contents and make sure you are interested in more than the biggest headline. If you find you are reading the same type magazines every month then consider purchasing a subscription. Utilizing these tips you will be able to enjoy the magazines you choose to purchase and save money by only buying when you know you have time to read. Do you still read paper magazines? I would love to hear your viewpoint in the comments sections. If you want support decluttering your home, join our private Facebook Group Happy Home 101. We love meeting new friends! I do have magazines that I haven’t read yet…a few months of them actually. And you are so right about thumbing through magazines in the check out lane…I usually don’t buy them though because the ones I want art $9.99 or more for one issue!! Great tips and my heavens yes, declutter those magazines, it’s a shame to waste a glass of wine! !